IT recruiters - also known as technical recruiters, work on behalf of technology companies who need to fill open positions with qualified individuals. An IT recruiter’s main focus is on matching the right candidate with the right company. As an IT recruiter, you’re making a real difference in the lives of individuals by connecting them with companies who need their expertise. While it’s not mandatory to have technical expertise to source good candidates for your client, it’s helpful to have some knowledge of the industry’s needs. Sourcing candidates for a position in the information technology industry can be challenging because the market is very competitive. That’s just one reason why IT companies use IT recruiters to find top talent for their businesses. As you work towards filling open positions for your client, you’ll develop relationships and connections that can make networking and candidate sourcing easier. 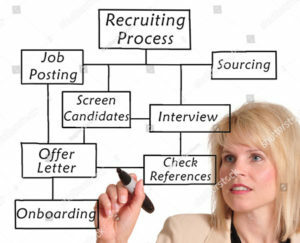 Why specialize in IT recruiting? 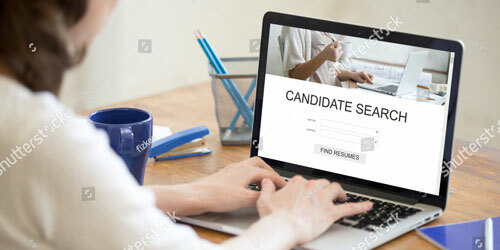 Someone who is immersed in the information technology world, even in a peripheral manner, is more suited to finding the right quality candidate for their clients. IT recruiters have a keen understanding of what their client is looking for and will be able to place candidates quickly, saving both their clients and their prospective hires time and money. Even if you’re not a computer whiz you can still specialize in recruiting for IT clients. All it takes is understanding the basics of what your clients do, and the positions they need to fill. This will help you deal more effectively with both your clients and potential candidates because they’ll see that you’re interested in meeting their needs. Use every resource at your disposal to familiarize yourself with the lingo of the IT world. If you understand the concepts and the terminology that you’ll be dealing with on a day to day basis you can more accurately communicate between your client and prospective hires. Read blogs, forums and trade magazine publications...visit anyplace IT professionals are discussing their industry, both on and offline. The importance of your business network as an IT recruiter cannot be overstated. Ask your existing network for recommendations to help you build your list of contacts in IT, so that you’re not reaching out to prospective candidates blindly. People love to help other people out, so make it easy for your network to help you by giving them detailed information about the types of positions you’re trying to fill. Know what kinds of positions the IT industry needs. This will help you match the right candidate with the right company in a position that is mutually beneficial for both. Tap into your network for help with this kind of information. Your recruiting efforts need to center on finding a diverse range of candidates for your clients. Tech companies need to fill positions, and they want to fill those positions with a diverse range of individuals because it lends to their strength as an organization. Also, if you, as their recruiter, can source candidates from a variety of backgrounds that are a good fit with your client, you’ll set yourself apart from other recruiters. Employees are a reflection of the company they work for, so creating a diverse workforce that mirrors their target customer is top of mind for IT companies. It’s why they’re willing to pay recruiters well...to find the best, most diverse talent possible to help their company grow and to connect with their target market(s).